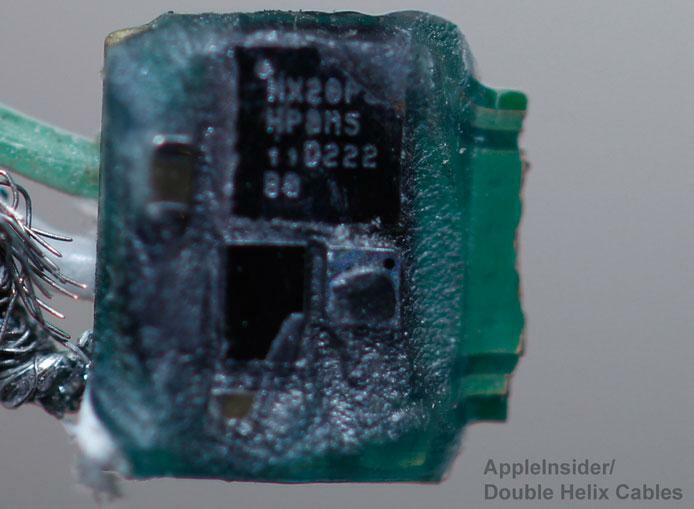 A user has torn apart Apple's new Lightning bolt cable and shared details on the iPhone 5 connector with AppleInsider, including a warning as to why customers should not buy third-party Lightning connectors for the time being. Peter from Double Helix Cables took apart the Lightning connector and found inside what appear to be authentication chips. He found a chip located between the V+ contact of the USB and the power pin on the new Lightning plug. The presumed inclusion of authentication chips in Lightning connectors plays a part in the higher cost of the new cables. Earlier Friday, AppleInsider shared details from analyst Ming-Chi Kuo of KGI Securities, who said the new Lightning connector has a cost of $3.50, which is a 775 percent increase compared to the legacy 30-pin dock connector. While the Lightning cable reportedly costs Apple $3.50 to make, some third-party resellers on sites like Alibaba.com are already offering Lightning connectors at much cheaper prices. 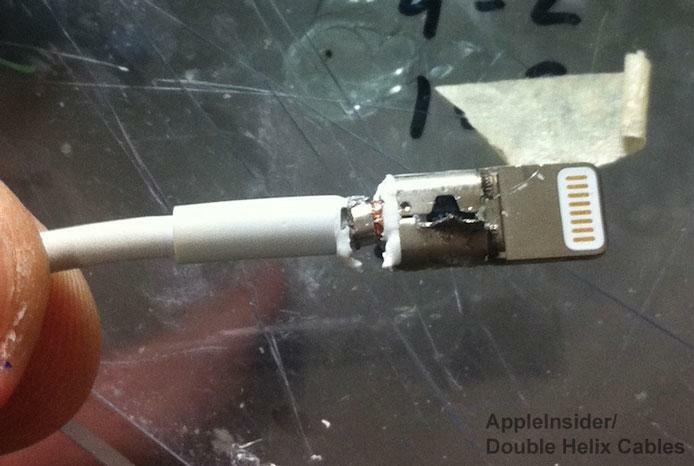 Given the apparent use of authentication chips and Apple's cost in making the cables, Peter cautioned that customers should avoid third-party Lightning connectors for the time being. 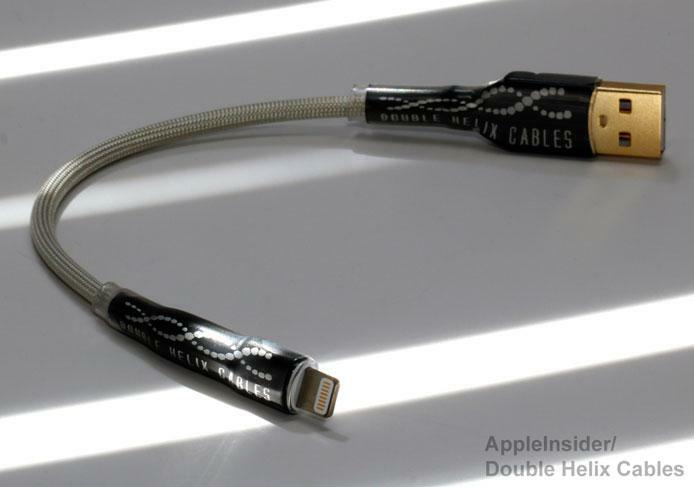 "There is basically no way those are functional cables," he told AppleInsider in an e-mail on Friday. "YOu can't just build a Lightning cable by making something with the same shape and connectivity, and my teardown proves that. The chip has to be there, and it is directly in the signal path of the V+ wire." He also said that users will not be able to build without their own Lightning cables, "at least not without a precise dissection of an Apple-branded Lightning cable." He characterized the connector as "very fragile" once the metal protective shield has been removed, though it is "extremely tough" when the cable is intact. For more, check out the custom cables available at Double Helix Cables.